Hi, I'm Cheryl at C-Line, and today we're going to talk about our Rainbow Document Sorter. This stylish expanding file keeps your paperwork organized and easily accessible. Its compact design makes it perfect for on the go organization. This file is made out of durable polypropylene with a professional looking black exterior and five, bright rainbow colored interior pockets. Isn't that fun? The elastic closures keep up to 250 letter sized documents safe and secure. Because of its compact design, it's easy to transport from place to place, which makes it ideal for classes, meetings, projects, and more. The Rainbow Document Sorter lets you organize and transport your files in style, whether for home, school, or business. Order yours now. That's all we have for today. I'm Cheryl with C-Line, thanks for watching. 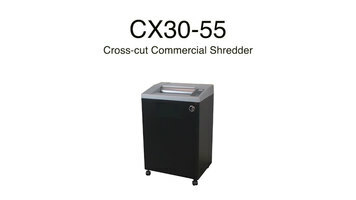 A vacuum packaging machine is a great, long-lasting investment for food service operations. 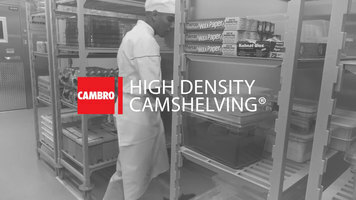 Not only is it used in sous vide applications, but it helps prevent food spoilage to reduce costs. 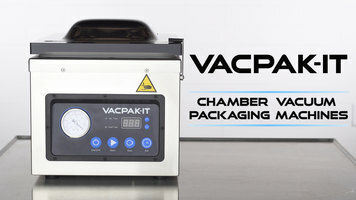 The chamber vacuum packaging machines from VacPak-It are available in a variety of sizes and feature a variety of features, ensuring that there's a machine to match the needs of virtually any business.